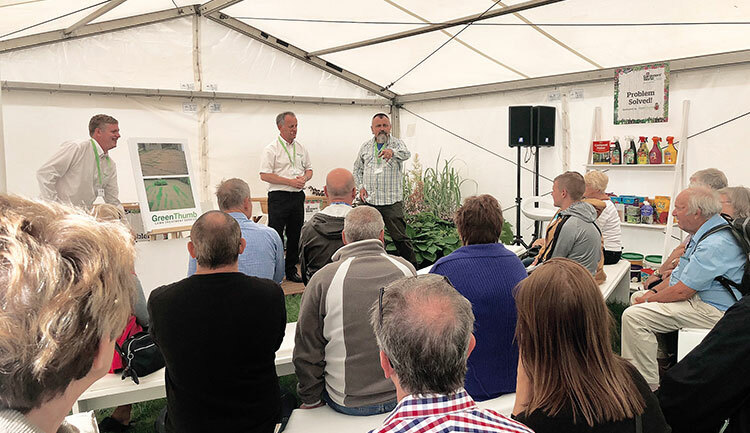 We had another successful event this year at BBC Gardeners’ World Live: presenting educational talks, speaking with all of the lovely visitors and really getting involved in the show. It was wonderful to meet and discuss all things lawncare with the visitors to our stand throughout the show. 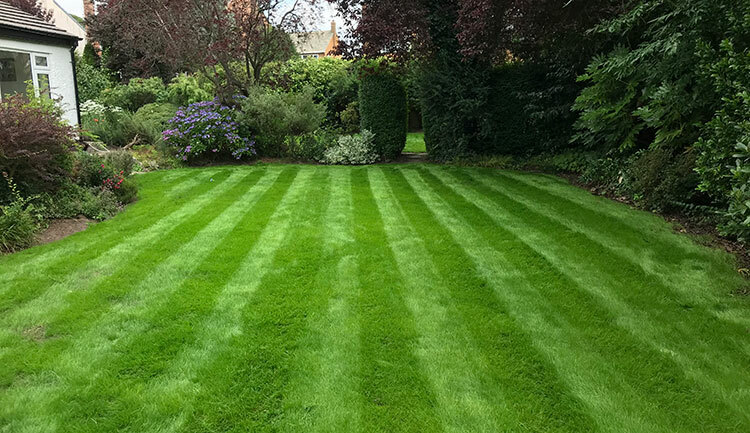 People interested in GreenThumb enjoyed how quick and easy it was to be able to measure their own lawns online with the computers that we had set up for an instant quote: this motivated most to arrange an analysis visit to get a more accurate price and assessment of their lawn’s condition. We were able to forward the details of interested people straight to their local branch on an iPad for this purpose; it was great that a few people came back to us later in the day, amazed that the branch already called them to set up a time to carry out a free Lawn Analysis. Since many of our lawns have been left parched and damaged from the very dry summer we’ve had this year, the demonstration of our Oasis Treatment was very beneficial; to show how absorbent the treatment is compared to water. Customers and visitors were delighted to know that once you water in the Oasis Treatment, they could reduce the amount of watering needed dramatically! Throughout the event we gave away: maps for the events (sponsored by GreenThumb), sprinklers, GreenThumb kneel pads and ponchos, and much to the glee of all of the children who stopped by, windmills and sweets. Many garden lovers took our Lawn Issue postcards, with great tips and information on how to improve their lawn. It was a privilege to sponsor the Problem Solved! stage (which you can read more about our involvement with on the BBC Gardeners’ World website here). We hosted talks daily, sharing our knowledge about the all-too-common woes that can befall our beloved lawns; and of course, how they can be dealt with, with a helping hand from GreenThumb. 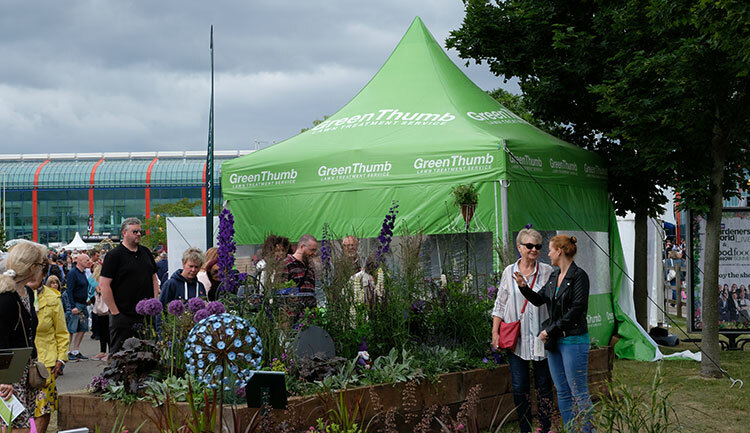 It was a real pleasure to present alongside host, David Hurrion - an editor for the Gardeners’ World magazine; he even helped us distribute our evidently popular GreenThumb ponchos and other giveaways to visitors! 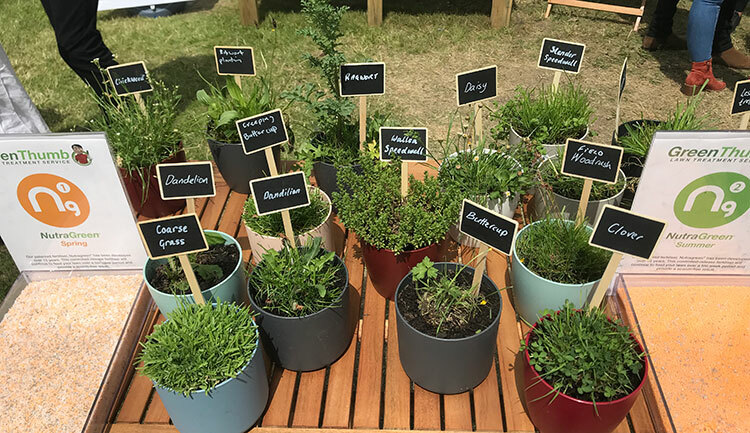 Our handy display helped visitors to classify the certain weeds they may have living very much unwelcome in their lawns. One gentleman even brought a ‘weed’ from his lawn along to the event to show us, which turned out to be a plant…so we were able to give our expert advice on what are weeds - and what aren’t! By having an example lawn on display, we were able to demonstrate the effect of our fantastic Lawn Makeover. This caught the interest of many people, especially on finding out that our topsoil is 100% organic and far cheaper than re-turfing. We absolutely loved taking part in Gardeners’ World Live again this year and want to say thank you to the event organizers, all of our customers and interested visitors who came to visit us, and we can’t wait to come back next year!